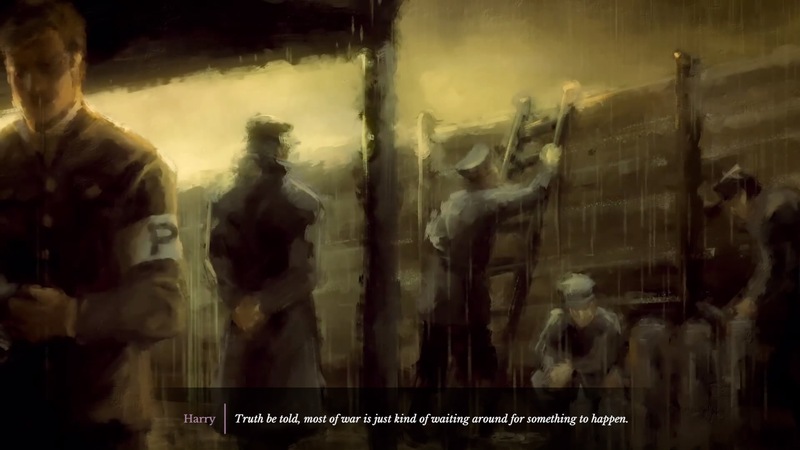 11-11: Memories Retold: Memories Retold is what a game about war should be like. It’s not about creating “interesting gameplay flavours” or offering “a unique battlefield experience“. It’s not Saving Private Ryan style historical revisionism, realistically portraying the violence of war but presenting American forces as unlikely but infallible heroes thrown into hell. 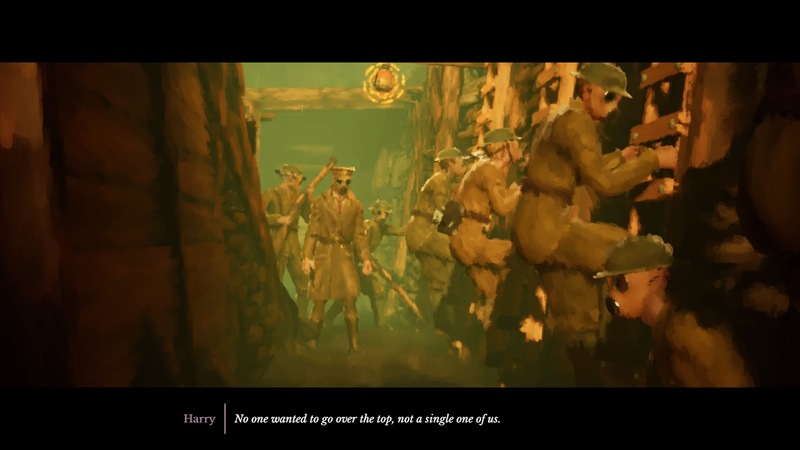 No, 11-11: Memories Retold is a reminder of the human cost on both sides of World War I. Whatever the political motivations from the top, the people on the ground were just people, forced into service and duped by propaganda about heroics and adventure. It was a war in which millions of people died for a few feet of land, and for those on the front line, mostly involved sitting around in lice- and rat-infested trenches for weeks or months at a time. There’s nothing “fun” about 11-11: Memories Retold because there was nothing “fun” about World War I. 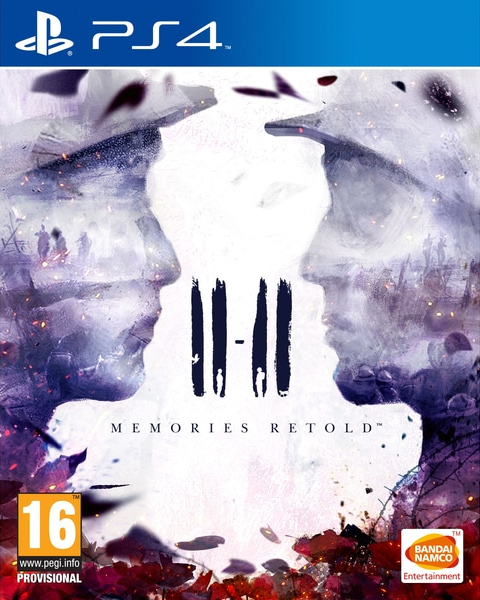 11-11: Memories Retold remembers the war as it should be remembered: as a horrific event, a pointless loss of lives, and something that we should be doing our utmost to avoid repeating. 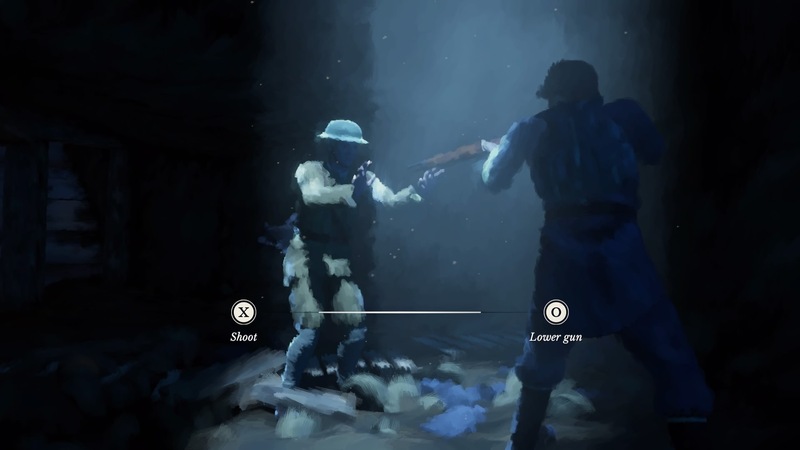 In alternating chapters, you play as two non-combatants thrown onto the front lines of the war. Harry Lambert (Elijah Wood) is a Canadian photographer who, at one charismatic major’s promise of fame and glory, agrees to photograph the Western Front. Kurt Waldner (Sebastian Koch) is a German engineer working in a zeppelin factory, until news of the defeat of his son’s unit prompts him to enlist in the hope that he might find out the truth. Through the eyes of these two men, 11-11: Memories Retold shows the reality of the “Great” War: a lot of boredom in horrible living conditions, occasionally broken up by the sight of a friend getting picked off by an opportunistic sniper or a battle that mostly involves rushing towards marine gun fire and praying for your life. It’s hardly the adventure promised in the recruitment posters, and Harry gets to taste this propaganda firsthand when he’s tasked with creating it. Major Barrett’s idea of bringing a photographer to the front is all about staging “heroic” shots that are a stark contrast to the reality that surrounds them. You have some degree of choice in what photos you take or don’t take, which influences how some aspects of the story unfold, but, ultimately, Harry is there as a propagandist, and some orders can’t just be disobeyed. Through Kurt, you see that the German soldiers are every bit as tired and frightened as the Allies. They’ve been sold lies about “Tommy” and the threat that Allied forces poses to Germany; as an engineer, much of your time as Kurt is spent fixing the radios that allow such propaganda to spread, and spying on Allies by way of a geophone. Both sides think themselves the righteous in this war, but there are no heroes or villains here. Each person is simply that—a person. 11-11: Memories Retold drives that point home when the fates bring Harry and Kurt together. They should be enemies–after all, that’s what am the posters say, and they’ve both seen their friends gunned down at the hands of those on the other side. But when they find themselves trapped together in a caved-in tunnel beneath the trenches, they’re just men, desperate to survive. Despite the language barrier, they manage to form a sort of friendship as they work together to escape. As the war drags on, this friendship is tested. Your decisions determine how everything plays out in the end, but whatever the case, you can expect an intense, gut-wrenching finale that serves to drive home the point: there’s no glory in war, just pointless death and destruction, and as soon as we forget that, we’re doomed to repeat the mistakes of the past. 11-11: Memories Retold dwells little on the politics behind World War I; for the person on the ground, they’re of little importance. 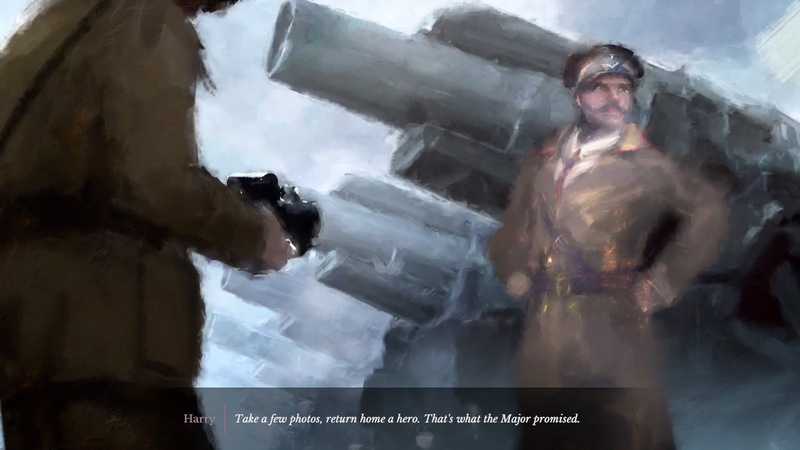 The game spans some two years, and covers a few key battles like Vimy and Passchendaele, but you won’t learn about the death of Archduke Franz Ferdinand, or the United States’ decision to get involved, or the series of events leading to the armistice. It’s a politicians’ game to try and justify war. 11-11: Memories Retold is about the plight of the puppet, not the shouts of the puppeteer. 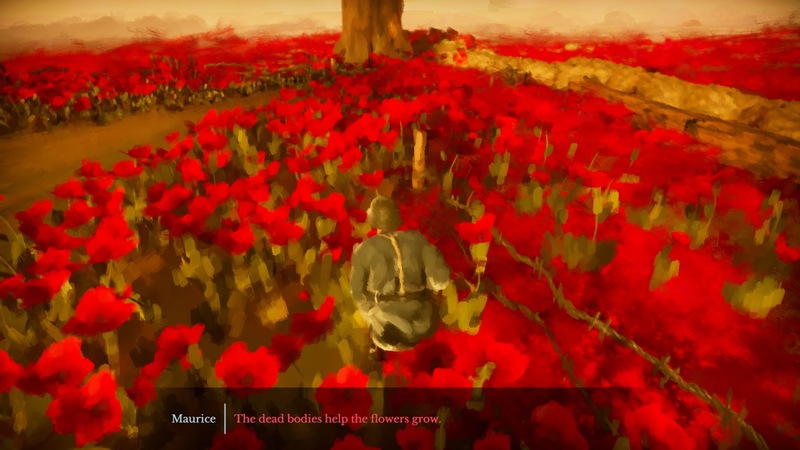 With a filter that gives the whole game the look of an impressionist painting, 11-11: Memories Retold certainly doesn’t look like your typical war game. Instead of the usual gritty, muddy look, it’s consistently beautiful, creating a contrast that only serves to emphasise the ugliness of the situation. Where other war games look for impact in gratuitous violence, 11-11: Memories Retold finds it in the brush strokes that blur the line between pools of blood and blooming poppies. This same juxtaposition extends to a plot that finds plenty of time for levity, despite the seriousness of its message. Both Harry and Kurt get to spend time away from the front, and Harry’s visit to Paris is particularly entertaining. Sequences in which you play as a very cute kitten crop up regularly, with all the playful whimsy you’d expect. Even in the trenches, soldiers joke morbidly with one another during the downtime between firefights. Again, this juxtaposition works to underscore the horrific reality of what war. They emphasise the humanity of the characters, and ground the whole game in something real. It’s easy to grow numb to relentless bleakness, but 11-11: Memories Retold‘s emotional range means that every pinch to the gut has its full impact. 11-11: Memories Retold: Memories Retold is a game that should be played by everyone. It should be taught in schools and set up on museums the world over. Instead of trying to find the “fun” in an event as horrific as World War I, it’s a reminder of how tragic that war was for everyone involved, Ally and German alike. Perhaps most important of all, in a world that’s been almost constantly at war in the century since the Great War’s end, 11-11: Memories Retold is a desperate plea for us to stop repeating the mistakes of our past.